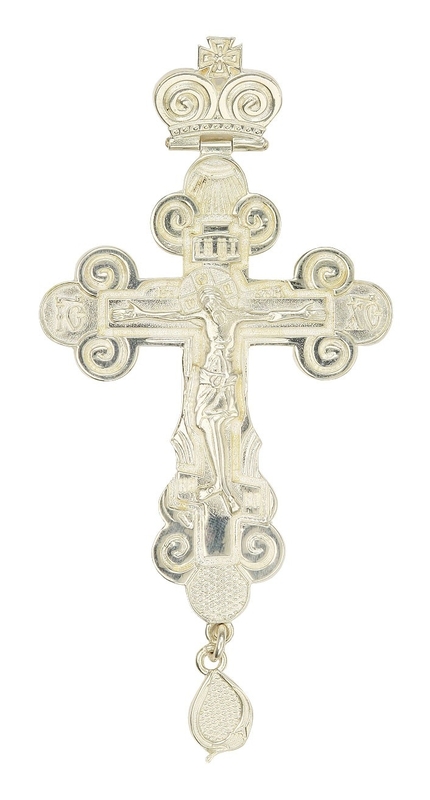 With considerable experience in producing handcrafted ecclesiastical items, Istok Church Supplies is the right supplier to purchase pectoral chest crosses from. We welcome you to browse our fantastic collection that includes wood carved chest crosses, hand-cast brass chest crosses, jewelry pectoral chest crosses, ivory pectoral chest crosses and authentic replications of the XVII century pectoral chest crosses among others. 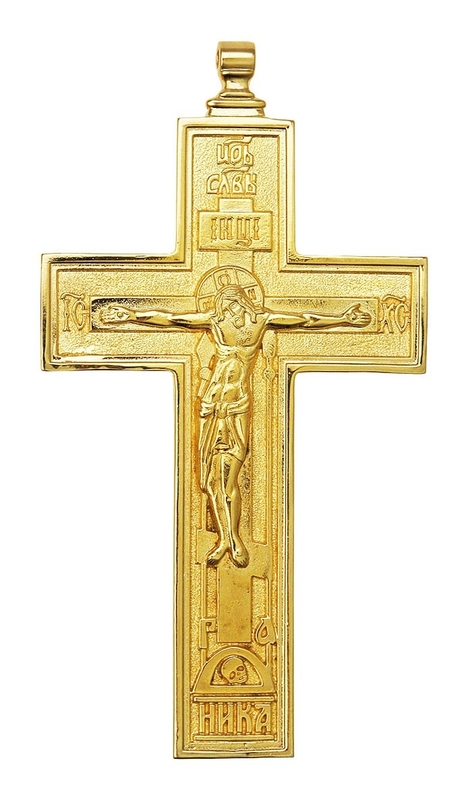 Our wood carved pectoral chest crosses are perfect for customers who are looking for simple and elegant designs. We use quality wood such as pear wood and oak. Carvings are rendered by hand to ensure unique and superior results. 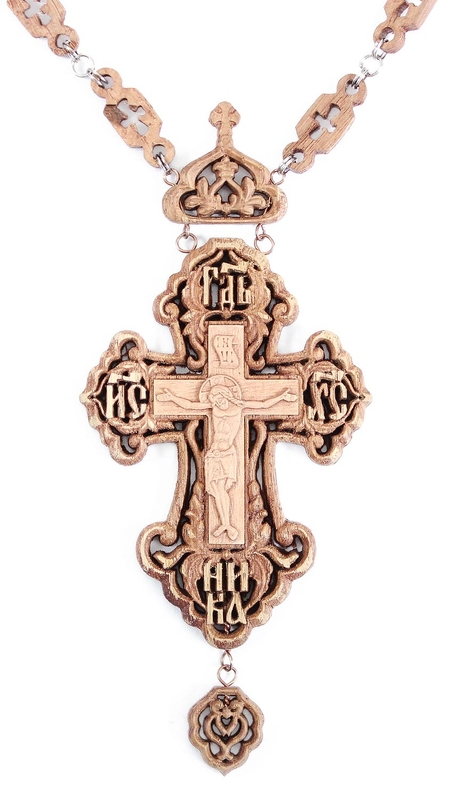 The brass and German silver pectoral chest crosses we offer are hand-cast and hand-polished by experienced craftsmen whose talent and dedication to Orthodox ecclesiastical traditions is a guarantee of high quality workmanship. Designs made from brass feature silver or gold gilding that add to their beauty and durability. Pectoral chest crosses are available with or without accompanying chains. For designs that do not feature chains, customers can purchase chains with gold or silver gilding from the same collection. 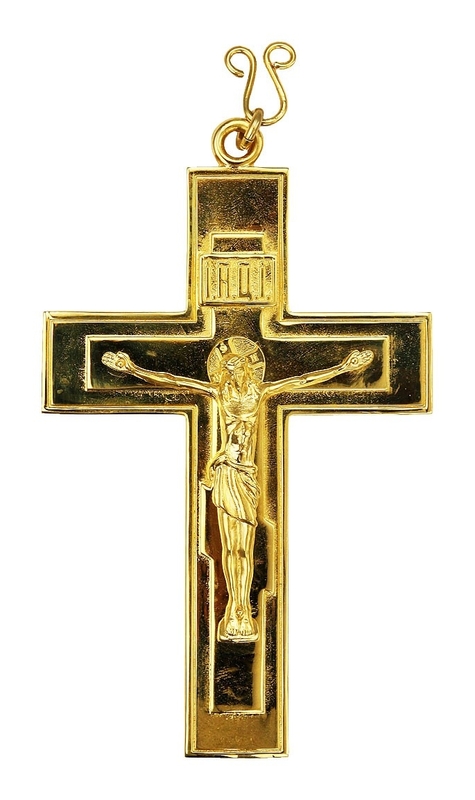 We also offer pectoral chest crosses that are authentic copies of the XVII century Byzantine pectoral chest crosses. These are skillfully rendered by master craftsmen with deep understanding of Byzantine liturgical art traditions – the results are truly stunning and outstanding. Our ivory pectoral chest crosses and jewelry pectoral chest crosses are a class apart. Designs made from ivory exude elegance whereas jewelry designs appear vibrant and colorful. We use high quality stones and choose rich jewel tones which makes them look absolutely stunning. Each stone is attached by hand to guarantee durability. Details such as filigree work, enamel and hand-painting elevate their appearance. The pectoral chest crosses we offer are shipped in high quality leather packaging. In order to serve you better, we would love to hear your questions about a particular product. Please use the appropriate link and we will reply as soon as possible! I received the finished custom-made veil on Friday. I am very satisfied with the results. Thank you for your help. Just wanted to express my gratitude for the kamilafka (klobuk) that I received today. I am most appreciative of your facilitating this request. I will be ordering from you in the future. Just wanted to let you know I received the hand censer yesterday. Thank you again. Will be ordering again from your company in the future. The icon shelf looks great!! Thank you for making and sending the vestments, which I received yesterday. The colours and style are beautiful, and the vestments have been expertly made. Thank you very much. May God bless you and the work that you do to his Glory. I just received the package ! the stikharion is wonderful. Thank you very much for your superfast reactivity and your listening. It will be a pleasure to do business with you again.